When it comes to horses, within me dwells a little girl who gets excited at the sight of one, always and every time. There are many folks who feel the same, and others who find it mystifying — what’s so great about a giant animal that poops every two hours and has a long face with big teeth and hard feet that might just kick you into next week, they surely wonder? 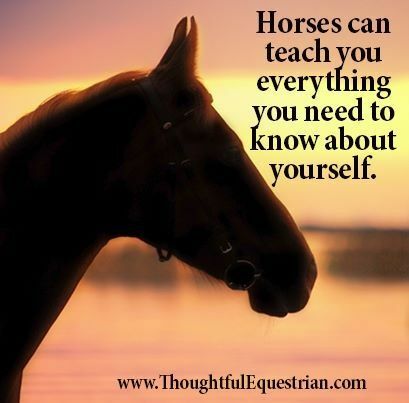 Whether or not you are among the horse-crazy subset of humans, it is a truth that horses have much to teach all of us. This was brought home to me recently when I, along with others of his fans, had to say goodbye to Ranger. Ranger came to Sunrise Horse Rescue, the rescue and sanctuary organization in Calistoga where I volunteer, a couple of years ago. Unlike some of the Sunrise herd, Ranger did not represent a case of abuse or neglect. 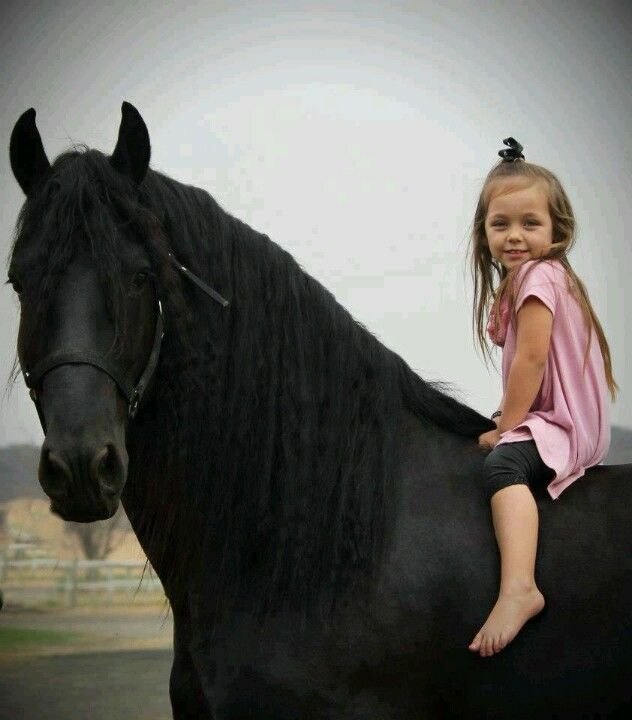 He had been loved and well-cared for by a young girl, for whom he was a dream come true, her very own horse. And what a horse he was. A big-boned, energetic but sweet-tempered Appaloosa, Ranger was a gentleman whether under saddle or working on the ground. No doubt he taught his girl how to engage with a force larger than she, how to partner with something powerful through understanding and cooperation. I’m sure he taught her confidence: like most of the horses I’ve had the pleasure to know, Ranger figured that if you trusted yourself enough to lead him, then he trusted you enough to follow that lead. That was true even more in his last years, when he lost his vision. 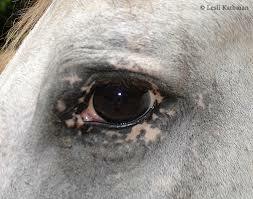 Appaloosas are a sturdy breed, but they are prone to a condition called ERU, or equine recurrent uveitis. Horses are prey animals who depend on their sense of sight to alert them to sudden movement; despite their size and strength they are acutely aware of their vulnerability, and blindness makes them even more so. Research is ongoing as to why Appaloosas are 8 times more likely to develop ERU than other breeds, but as yet it’s inconclusive. Now sightless, Ranger put his trust in his people, so much so that his girl could ride him at a canter even when he couldn’t see what was in front of him. But his girl grew up, and her life changed. It’s tough for many families to afford both college and the upkeep for a horse, especially a special-needs horse. So Ranger came to live out his days with us at Sunrise, although his girl, now a young woman, visited when she could. In his new home, he was doted on by a small but devoted army of volunteers who lavished him with attention and treats. One volunteer in particular, the fiercely dedicated Lynne, spent hours each week with Ranger, grooming him, feeding him apple chunks, and taking him on walks. It was heartwarming to see diminutive Lynne leading great big Ranger out to a particularly enticing patch of greenery where he could graze. “Step,” she would caution him when they came to a low barrier. And he would lift his massive front foot up before placing it carefully back down, testing the ground in response. When Lynne said, “Step,” he believed her; he’d chosen to trust her. 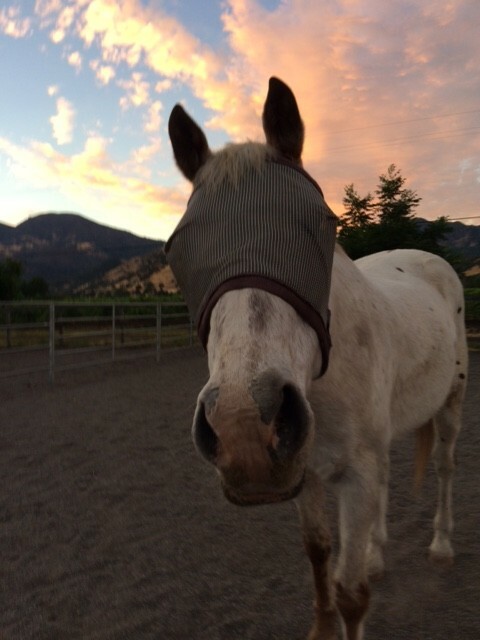 As Ranger grew older — he was in his mid-to-late 20’s when he arrived at Sunrise, already senior for a horse — his ERU led to a chronic and painful infection in one eye. Our vets and volunteers did all they could to keep him out of pain, and for a time he managed to rally and enjoy life. Sadly, horses can remain on pain medication only so long before it causes problems with their sensitive digestive tracts, and eventually we could no longer make him comfortable for the long term. He lost interest in eating and withdrew from his herd members, and as reluctant as we were, we knew it was time to let him go. On the appointed day, his young woman arrived in the morning, accompanied by her dad and two of her friends. They spent the morning with Ranger, grooming him, feeding him endless treats, and taking him for one last ride. 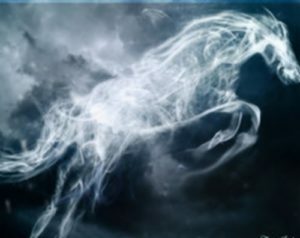 He rose to the occasion with a final surge of energy, prancing around the arena, delighting in the attention and the goodies without reservation. 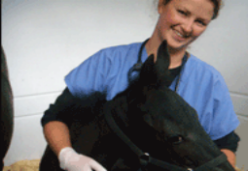 In the afternoon, Dr. Vanessa Rood from Napa Valley Equine arrived with her assistant. I have been present with Dr. Vanessa on a number of such occasions, and while this is surely the most difficult part of her job, there could be no more compassionate and graceful conductor for a horse’s final passage. Considerate of both the horses and the humans, she gave everyone plenty of time and sensitively explained the procedure. Ranger’s former owner led him to a shady spot under an oak, away from the other horses, while her dad and the rest of us in attendance followed at a respectful distance. As the time grew nearer, the young woman was wracked with mounting waves of grief. Ranger stood still as she buried her face in his neck and sobbed. The other volunteers and I looked on, our own tears building and spilling, as Dr. Vanessa gently inserted the small catheter in a vein in Ranger’s neck and gave him a preliminary sedative. The wrenching part of witnessing a horse’s exit from life, however kindly it’s done, is that unless the horse is already down due to injury or something else catastrophic, the horse drops from standing once the fatal dose is delivered. “The mind goes first,” Dr. Vanessa explained, “and that’s important to remember.” Often, after the horse is down, there is residual movement and sometimes sound — a gasp, sighing, twitching or jerking — as the body’s energy releases. In my short experience I have seen horses shudder and kick reflexively at such moments, or heard them sigh, and if it weren’t for Dr. V’s kind coaching I’d have been disturbed by it. Still, she gave everyone time to say goodbye. We all did, stroking the powerful neck and flanks, marveling at the life force that was about to leave us behind. The young lady withdrew at this point, overcome. Shyly, I put a consoling hand on her dad’s shoulder. What is harder than seeing your child stricken by sorrow? When everyone was as ready as they could reasonably be, Dr. V produced a large syringe and pushed its contents into the catheter. Within seconds, Ranger’s eyes fluttered and his hind legs wobbled, crumpling. Everyone had already withdrawn to a safe distance. The big horse fell to the ground in a single motion. He lay still and quiet. No twitching, no jerking, no gasping; simply silent and at peace. As though, once again, Ranger had chosen trust. We stood, hushed and humbled. With his customary power and dignity, Ranger had gifted his girl, and all of us, with the final wisdom a horse has to give us: how to do the thing that animals understand but with which we humans struggle so mightily, the very most difficult assignment life hands us. How to let go. How to, finally and forever, trust. What lessons have you learned from the animals in your life? Your comments are a gift to me. Man, oh man. This brought some stuff back. On New Year’s day I had to put down my elderly cat Spice. Like Ranger she’d developed enough health problems that it was impossible to manage them without causing her more pain. She died in my lap and though I know it was the right thing I still have problems thinking about it, even with a new household of cats to love. Thank you for writing this – it’s a hell of a read, but a hellish read. I am so sorry about Spice. It is hard to think about — taking on the responsibility of moving our beloved animals on from their earthly lives almost feels like something arrogant to do, something too big for us puny humans. But it’s what they depend on us for, and as you say, it’s the right thing to do. Sometimes it’s just very, very hard to accept that the time has come. What a beautiful story about a remarkable horse. I have often found that I receive so much more from volunteering than I ever give. That certainly seems to be the case with you at Sunrise Horse Rescue. Even though I am not a horse person (although my oldest son did take riding lessons) we have had lots of pets over the years. The hardest one to let go of was our 120-pound Akita Tobi. She was fiercely protective of our family, especially me (the only female). I taught her how to “sing” the national anthem. She would throw back her head and howl as I sang the words. I think big animals just take up such a big space in your heart. It’s easy to feel a big love for them. Funny story – I am not a make-up wearer, but I did put make-up on for my grandson’s birthday party for the first time in about 6 months. Then I read this story. And had to re-apply my make-up after I cried the first application off! I am not really a horse person but this story made me cry. Beautifully written and a fine tribute to a special horse. Oh, ouch. I have parted with so many dear pets, including horses. Now, as our 16 year old doggie Esprit totters towards the end of her days, every rally to puppylike energy and bark in your face “Let’s WALK now!” is occasion for a joyous celebration. We have determined that this sweet gal will be our last pet. For a number of quite practical reasons, but also because our hearts just can’t bear yet another wrenching rending after this one comes and passes. I try to “prepare” but how does one do that? I just treasure every step she can still take, every funny canine dementia moment stuck in a corner, every beg for another treat which is NEVER denied, absolutely anything that indicates she ain’t done yet. I know the end is coming sooner than later, so I try to stay focused on right NOW, this day, these precious moments with her, for they are filled with pure joy, gratitude, and love. 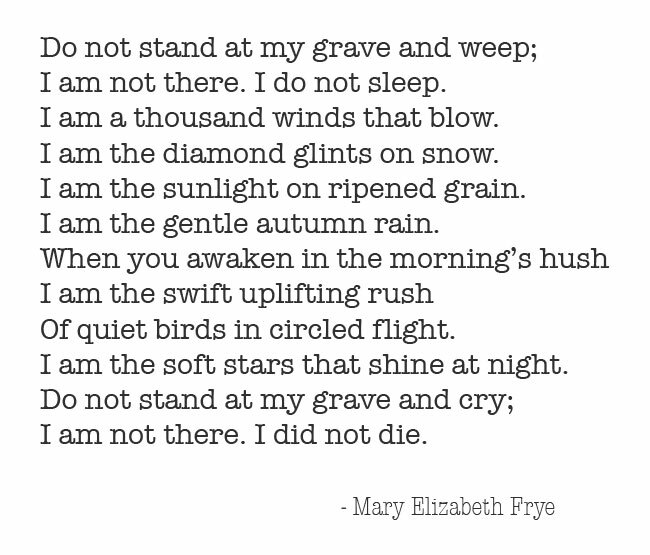 I am soooooo sad to even think of you having to say goodbye to Esprit — but wow, she is a loved-on dog, and you have made her days full of all a doggie could wish for. It took us a very long time to even consider another dog after our sweet ol’ Cassie had to leave us, and now already our beloved Molly is a senior at 10+ years. But for all the pain which we humans have the difficult talent of projecting on the future, there is nothing like a companion animal to demonstrate the magic of focusing in the NOW, as you say. I also get excited at the sight of horses. I have never owned one, but have ridden them on many occasions, especially when I was young. We have shared the life of many cats and dogs. The end of their life is never easy. We have one remaining dog now who has been blind since we rescued her at the age of 4. She is 15 now and has the usual aging issues. I was particularly moved by your story about Ranger’s girl instructing him to “step”. That’s the instruction we give our dog when encountering curbs, stairs, etc. 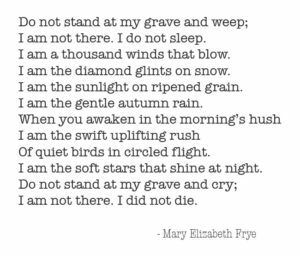 Your story about Ranger is beautiful and I thank you for sharing it, especially the poem. Thank you, Jan (nice name!) — I’m glad you found the post worthwhile. This is a beautiful story. I loved my horses so dearly when I had them, and even though they had to move on to other homes when I divorced, I would still sob for them today if I had to go through this with either of them. I read in one of the comments above that big animals take up a big space in your heart … so true. Thank you, Sandra — I am sure you do miss your horses, and I’m glad the story resonated with you.